Under-caffeinated New Englanders are voicing their displeasure with Dunkin’ Donuts Monday upon discovering the staple coffee chain didn’t bring back its 87-cent coffee promotion on the day following a Patriots win for the 2018 season. The @DunkinBoston Twitter account Monday was filled with replies to customers apologizing that the discount was no longer available. In the latest iteration of the “Pats win, you win” offer, members of the chain’s loyalty program could buy a medium hot or iced coffee for 87 cents at many New England locations (and some in New York) on the day after a Patriots victory. The 87-cent promo paid homage to spokesman Rob Gronkowski’s jersey number. 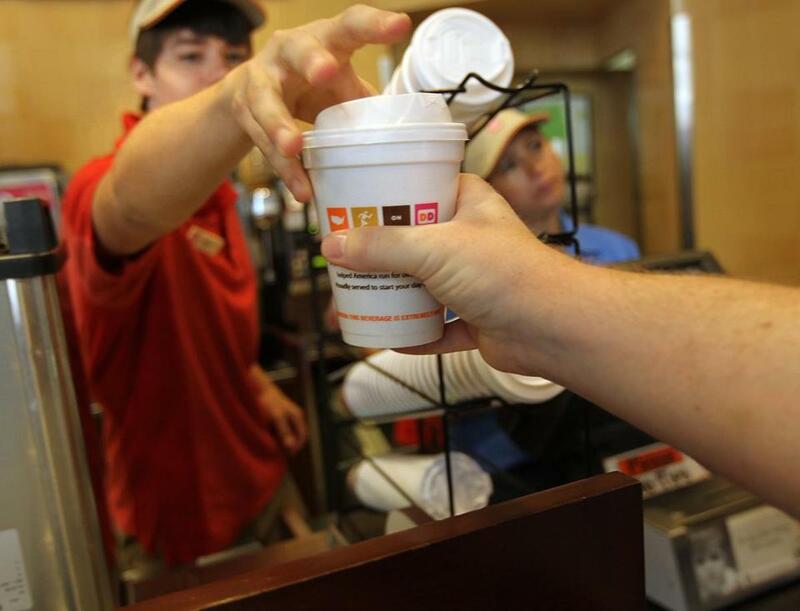 Dunkin’ Donuts’ used to offer customers a free coffee after Patriots wins, but after giving away 2.25 million coffees during the 2015 regular season, the promotion was dialed back a bit. Coffee-loving Patriots fans didn’t appear to be taking this development well on Monday, a day after the team defeated the Houston Texans at Gillette Stadium, 27 - 20. As a Massachusetts brand, @dunkindonuts/@DunkinBoston has profited greatly from the hardworking people of the Bay State. Eliminating the ?Pats Win You Win? $.87 coffee this year is pathetic. Don?t punish us for the fact that the @Patriots are incredible and win all the time. Sad! In a statement, Dunkin’ Donuts said the chain currently isn’t planning any promotions related to the Patriots. “While we have no plans for a Patriots-themed program at this time, our fans can enjoy our ‘Sip. Peel. Win.’ nationwide on-cup peel and reveal promotion into October,” the statement said. It’s also the second time in recent weeks that Dunkin’ Donuts felt the wrath of Patriots Nation.